This new book outlines the best places in the world for nerds and geeks to visit before they die. We selected some favorite places, including the HP Garage, the MIT Museum, and da Vinci’s last home. Add this to the manufacturer’s tours (such as shown in John Ratzenberger’s Made in America TV series) for a touring target in your travels. Read Print claims to be a “Free online books library for students, teachers, and the classic enthusiast.” It appears to be a well organized resource if you don’t mind reading books in small chunks online. Project Gutenberg is the classic resource for free reading if you want to download books for offline reading. Top 12 sites for free and legal ebooks you download right now provides a review of some other places to find good reading material. Also see the Online Books Page as a starting point for searching. Free Classic Literature in the Public Domain is a UK site with interesting introductions to authors. For the geeks and nerds, Free Technical Books might be worth browsing. It “lists free online computer science, engineering and programming books, textbooks and lecture notes, all of which are legally and freely available over the Internet.” The O’Reilly Open Books Project is another good technical resource. Computer Books will get you started or enhance your computer programming efforts. If you are into education and textbooks, take a look at the Textbook Revolution. The only problem with all these free books is that you need a computer to store and present them to read. That can raise issues when off the power grid out in the boonies. Air conditioners put a load on electrical systems. That can mean voltage drops which are not good for motors. 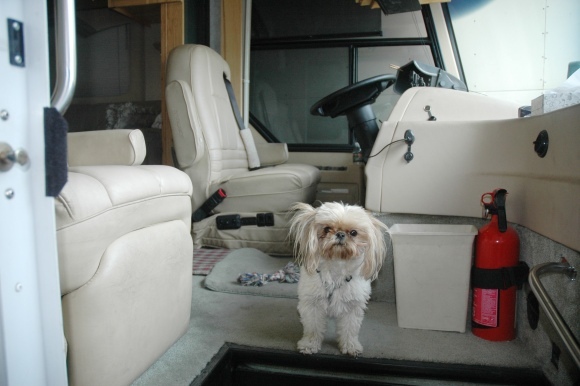 There are a number of devices designed for RV’s that will compensate for voltage drops. They are usually an autoformer controlled by a voltage sensing circuit that switches in a 10% voltage boost when the park voltage drops to under 110v. The autoformer windings also provide some surge protection and there may be over and under voltage shutdown circuits as well as indicator lights for common power problems. The best known are the Hughes models and the Franks’s. Less well known are the TRC Surge Guard and the Dynamo. Frank’s autoformer is a two step design for 8% and 16% boost while the others are usually single step 10% boost devices. The basic 3600 watt unit for 30 amp 110v trailer type service runs about $400 and weighs about 14 pounds. The 50 amp 220v version runs about twice the weight and price. There is a myth that these pull excess power from the park power grid. While the autoformers are not 100% efficient, they do not consume much power in themselves and their voltage compensation will likely increase the efficiency of air conditioners in the RV. There is little net effect in actual power usage with a voltage compensator. What will happen, though, is that the upstream current will be higher than that provided to the RV. That is because power is the product of voltage and current. The voltage compensator increases voltage which means it decreases current to meet the power needs of the RV. What that means is that the circuit breakers on the pedestal the voltage compensator is plugged into will trip at lower power draws. Circuit breakers depend upon current and just assume a nominal voltage. These voltage compensators tend to be valuable devices outside the RV. That means they are targets for thieves. You can usually install them in an RV compartment to prevent theft or you can chain the handle on the device to the park pedestal. Another issue that puzzles some folks is whether to put a power conditioner in front of or behind a voltage compensator. It seems like overkill to use both but the likely best choice would be to have the conditioner ahead of the compensator. A ‘whole RV’ conditioner is also usually a rather expensive device and will have indicators for power conditions and faults that might be hidden by the autoformer. A voltage compensator is one of those things you probably don’t need but the exceptions are likely to be when you really need it. Know your options and always check park power for voltage and correct wiring before connecting your RV. There are a couple of interesting stories about traffic and driving today. Your brain in drive is about what happens when an older driver takes the wheel — and what we all can learn from it. At physics central the story is that Jerks actually reduce the risk of traffic jams. The story about what happens to driving capabilities as people age is also about how ‘wisdom’ is used to compensate for deficiencies. as a group, elderly drivers are in far fewer accidents per capita than those in any other age group. Older people, it turns out, have a second set of skills that helps them make up for the ones that have diminished. For many people, old age brings a growing awareness of their own limits, and they compensate by driving less and avoiding situations that overtax their abilities. They don’t drive fast, or at night, or on the freeway, or during rush hour. They certainly don’t text and drive. Consciously or not, older drivers become savvy at working with what they have. The other story gets a bit too cute in tossing around terms like “jerk” or “law-abiding” and tends to invoke an unnecessary judgment on what might be better called mavericks in a crowd of conformists. According to the latest physics research, rule-breakersdrivers passing you on the wrong side or changing lanes too close to the intersectionactually help smooth the flow of traffic for the rest of us. The basic problem is that people tend to bunch up in traffic and form platoons that drive in formation. These can create problems when disturbances propagate through the formation. Mavericks tend to break up the formation and spread things out and that can make the traffic safer. But, of course, that’s a bit of wisdom often seen in older drivers. They avoid heavy traffic times and tend to be careful about traveling space. Now that’s a way to travel n style and comfort! The Bureau of Land Management, U.S. Forest Service and Nevada Division of Forestry on Monday said hot temperatures, dry conditions and several human-caused fires are prompting the action. … The restrictions prohibit fires except those within fee-based developed campgrounds, and smoking except in an enclosed vehicle or developed recreation site. Use of welding equipment, tracer rounds or steel-core ammunition while target shooting, and open burning also is banned. … Additionally, officials urge off-road travelers to stay on gravel or dirt roads because hot exhaust systems can ignite dry grasses. That also means you need to be careful with the genset exhaust when you run it to keep the RV cool during the hot part of the day with the air conditioner. The July 2009 Newsletter has been posted. Note: Links to photo galleries and additional information mentioned in articles in this newsletter can be found at that link as well. Thursday July 23 – Sunday 26, 2009 SNU member Spencer Thomas is hosting this rally in a very scenic part of Northeastern California Near McArthur and Pittville off Hwy 299. Detailed directions are posted on the website. Plan on joining us among the pines in Northeastern CA. > Check Zephyrs and find out what else is new on the website. Should you buy the map? Personal navigation device (PND) manufacturers seem to be more in the business of selling map upgrades than anything else. It seems that they want to sell you a map upgrade every six months or so. Tim Conneally took a look at the situation and ran a test on a fourteen hour Independence Day drive. He describes his findings in Go west, young man…rerouting…Make a legal U-turn, young man. The Garmin Nuvi GPS that I received as a gift two Christmases prior had begun to prompt me to pay for a map update every time I started it up. Consequently, I didn’t use it very much, and stuck to using Telenav Navigator or Google Maps on my phone in the frequent instances when I have become truly, hopelessly lost. Updates for Garmin devices cost $70, TomTom costs $79.95, and Magellan updates cost between $79 and $99. Services such as VZ Navigator and AT&T Navigator, on the other hand, are available for $9.99 per month or $2.99 if they’re only needed for a 24-hour period. Would I advocate shelling out the cash for a software update for your aging PND? I’d give it a tentative yes, but only if you lack a GPS receiver on your mobile phone, and plan to continue using it a lot. The PND’s are marvelous additions to the tour kit and especially useful if you plan to find congested areas off the main drag. They do need discretion in use. That TomTom 130, for instance, was useful in North West Fallon to get from Tim’s place to Jerry’s. That is a high growth residential neighborhood with several roads that weren’t really there. The PND quickly recalculated a route when a turn was made to avoid a dead end or other phantom road. A new map probably would not have helped. The key was to not drive blind but rather use the PND to assist in getting to the chosen destination. This map upgrade business sounds an awful lot like the ‘giveaway razors but sell the blade’ marketing. That means you can benefit by careful consideration of your actual needs. Total Escape has an online campfire permit for 2009 good for any National Forest in Northern California or in the Sierra Nevada. The campfire permit is free and available from most NFS offices for simply filling out the form and signing your name. The online version is a facsimile of the paper that is available from most NFS offices with a stamped official’s signature. The Sparks NFS office ranger didn’t see why it wouldn’t be valid – but wouldn’t commit to any decision, either. Campers must always have a camp fire permit if planning on burning a campfire outside of a campground. Always double check with ranger to make sure on fire retstriction and if camp fires are permitted. Don’t get caught by a campfire on BLM or NFS land without a campfire permit ready to hand! Total Escape is a rather PC back country California information resource. They sell maps and some other stuff to handle the expenses. Check it out, lot’s of good stuff. Lifehacker has an idea: Repel Flies with a Bag of Water. The idea is that the appearance of something moving nearby scares flies. Light patterns reflecting and refracting off a clear bag of water provides enough evidence of movement it might just help keep the flies away. Give it a try. Hang a couple of Zip Lock type bags with water in them on the awning over your next pot luck dinner and see if it does indeed reduce the fly problem. 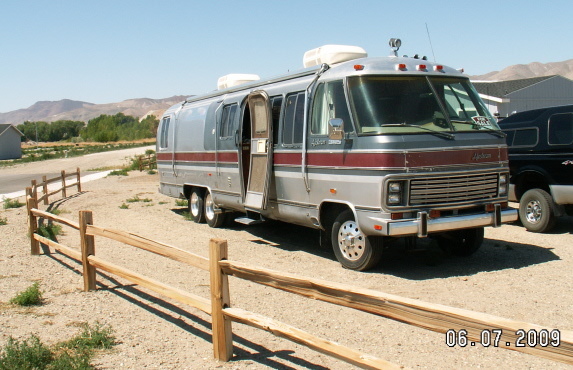 A photo gallery has been added to the Show and Tell Section for a 1986 Airstream 345 found in Yerington. This one has a GVWR of 16,500# with a single tag axle behind the duallies. That means no special driver’s license required (26,000 GCWR or 10,000 GVWR trailer mean you need a special license endorsement in Nevada). It also has a 7.5 kw Onan genset with a power distribution control panel to distribute its output to the two air conditioners, microwave or whatnot. 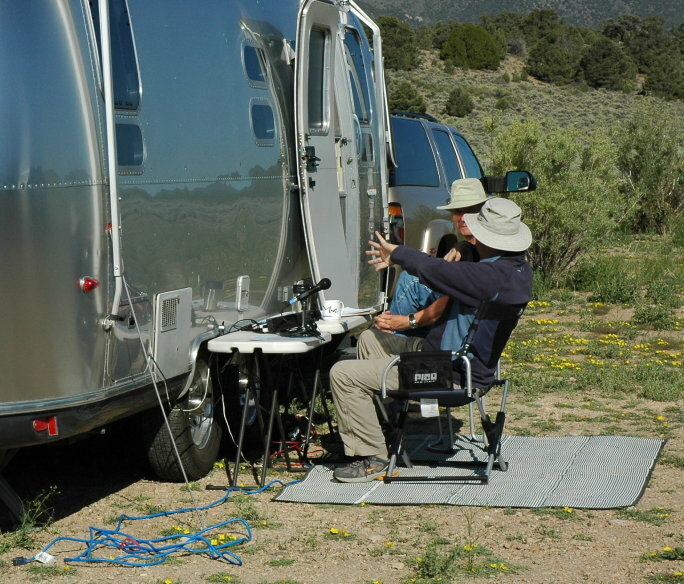 What happens when you have a bunch of Amateur Radio operators who also enjoy the Airstream RV lifestyle? How about a Field Day Rally! A previous entry described the Field Day 2009 part. 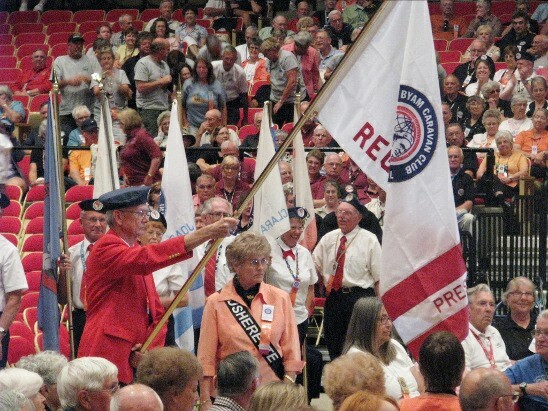 Here is the WBCCI SNU Rally photo gallery. Scenery and weather made it easy to enjoy the company and the activities. The SNU Rally in July 2009 will be just north of Lassen National Park in the Hat Creek area. Here’s the Google Maps routing from the North (the recommended route). Point A is where Pittville road turns off 299. D is where Bald Mountain road branches off Pittville. E is the approximate location of a cattle guard and F is about where Cinder Cone road heads off west. There is also a step by step photo gallery up that shows you pictures of the main points and the lattitude and longitude coordinates to help you set up a GPS navigation system. These pictures were taken right after the April rains so you can see the roads are good. There is another photo gallery from a previous year, before some major fires in the area, that can be used for some comparison and contrast about terrain and roads. There are a lot of other ways to get to the ranch. 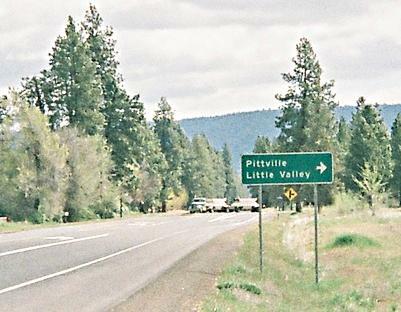 From the south, the map indicates that Pittville road off CA 44 near Poison Lake might be a way to go as it is about 40 miles shorter. The problem is that this road is 30 miles of dirt that is marked 4×4 only on the National Forest topographic maps (Fall River Mills, Pittville, Hitchcock Ridge and Cable Mountain are the quads you need). There may be scouting parties checking out Pittville road to the south, the powerline road, or the road over from the Hat Creek Radio Observatory – Call SNU HQ by early July 23 for the latest. The Cinder Cone road from Cassel Fall River Road was checked out to be OK but it isn’t on the maps and may be difficult to locate. For assistance, you can stop at Ray’s Market on 299 just west of McArthur and see if you can contact someone at the rally site. Call SNU HQ for cell phone numbers, try CB channel 14 or, if a ham, try 146.43 simplex. The Sweetwater Summit SNU Rally was a Field Day event with 5 Amateur Radio stations set up to test emergency preparedness. Here’s Don and Frank discussing strategy and radios near Frank’s battery operated station. 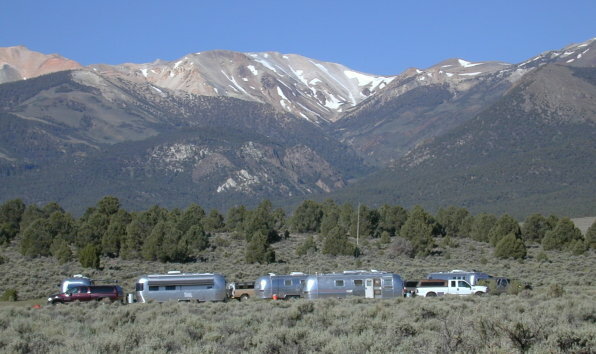 The June 27, 2009 event at Sweetwater was sponsored by the Sierra Nevada Unit of the WBCCI, the Airstream owners RV club. Field Day is sponsored by the ARRL, the national association for Amateur Radio.